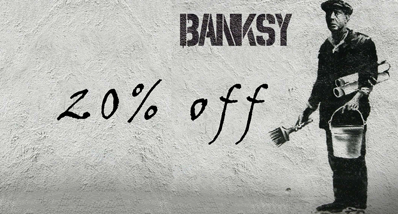 One of the world’s famous buildings can now proudly decorate your home. 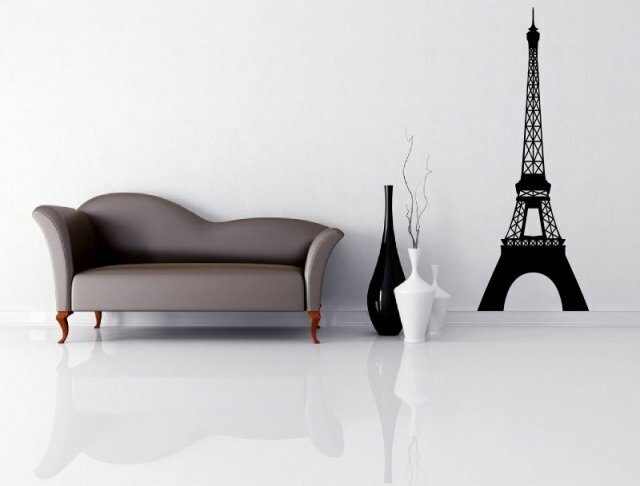 Get the contemporary, swish look of your home with our take on the Eiffel Tower in the form of a wall decal. With its metallic, strong construction and see through walls it’s a magic shot of textures and colour to your interiors. 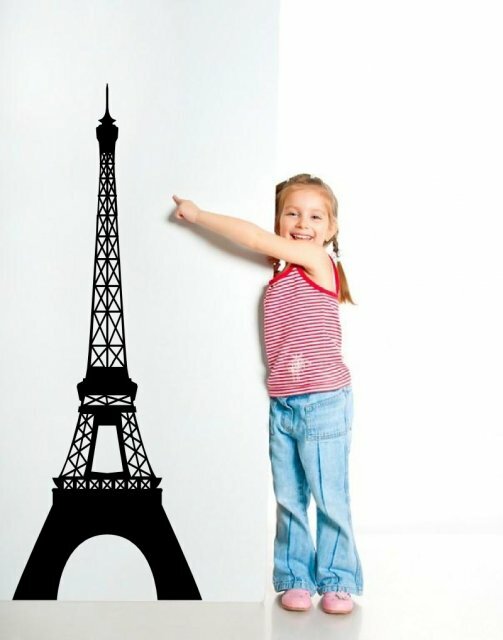 Amazingly design wall decal despite its chunky appearance does not make the room feel heavy. 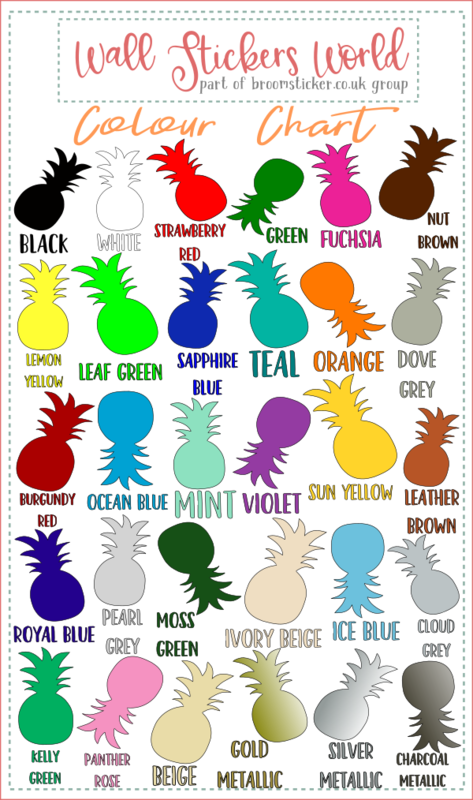 Bright idea for an office, study, living room. 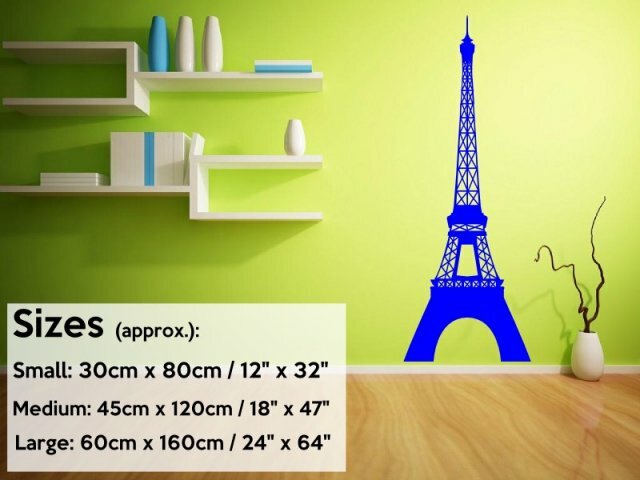 Our Eiffel Tower walls décor can be ordered in any of our colours and any of the three sizes, including the supersize, 120 cm height.